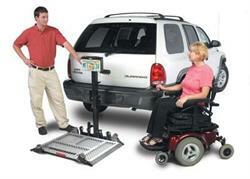 Go where you want, how you want, where you want, with a Outside Lift. 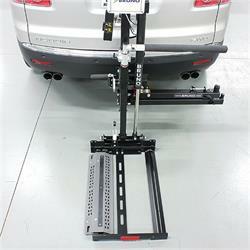 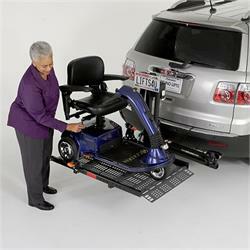 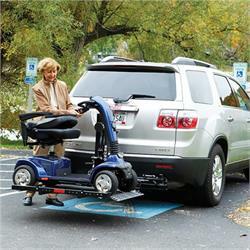 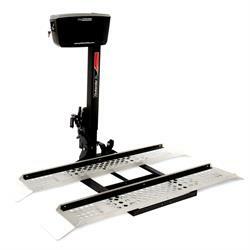 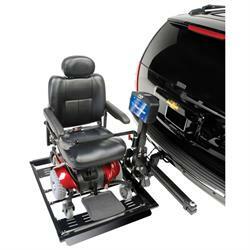 This type of lift is attached to the vehicle by means of a hitch and consists of an actuator and platform which secures and carries a manual chair, scooter, or powerchair. 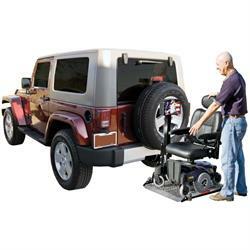 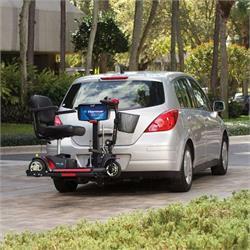 Bruno's Out-Sider is a popular choice for transporting a scooter while maintaining all your vehicle’s seating and cargo space. 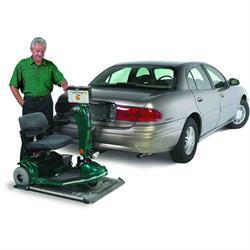 Drive your scooter onto the platform, push a button, and the scooter is automatically secured as the lift is raised.